If you are looking for a destination that can thrill you and your relax-seeking side, the island of Hvar is definitely a good choice. It is located between the islands of Brač, Vis and Korčula in addition to peninsula Pelješac. Hvar is considered to be the warmest and sunniest place in Croatia with 2,718 sunny hours per year. In last few years the island of Hvar has been repeatedly enlisted in Top ten most beautiful islands in the world by Traveller magazine and one of the best place for charter yacht holidays in Croatia. 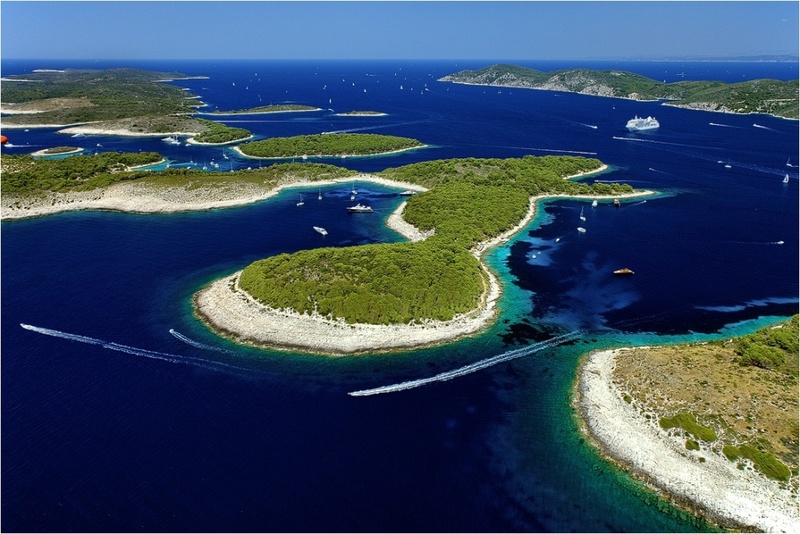 Sailing along Hvar’s coast you’ll discover infinite coves ideal for anchoring and spending a day in total relax. Berthing is possible at Stari Grad (100 fully equipped berths), at Vrboska’s ACI Marina (85 bertsh) and port, Hvar (berths and anchoring) and Jelsa (40 berths). 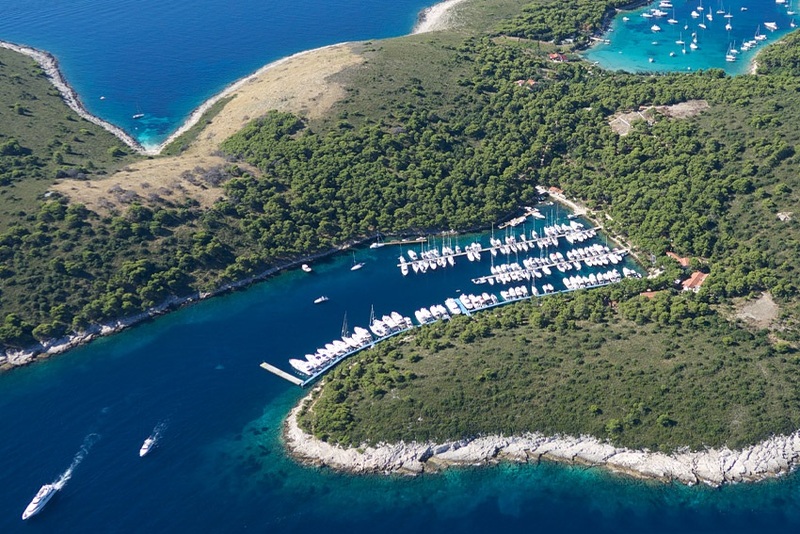 Mooring is possible at the marina Palmižana (211 berths) on Sveti Klement island, the biggest of the 16 Paklinski islands. The core of town Hvar is made up out of the Renaissance Square and Cathedral of St. Stephen along with the 16th century Bishop’s palace, Duke’s palace and late Renaissance City lodge. During their walking tours sailors will encounter numerous outstanding villas such as Gregurić, Hektorović, Paladin-Lucić, furthermore nowadays Centre of Hvar Cultural Heritage Institution is located in the Renaissance mansion of the poet Hanibal Lucić. The Old Town was built on the ruins of the Greek Pharos settlement that erected in the 4th century BC. Small fishing village Vrbovska lies in a deep bay and to its east side place called Jelsa is surrounded by the pine forests, vineyards and olive trees. Old Dalmatian saying goes: “Wine is food, wine is the cure” and given the ideal soil and terrain with mild climate that is great for thousand years old wine manufacturing every sailor of island of Hvar can not afford to miss to taste at least one of Hvar’s wine varieties considering they have distinctive quality, flavour and bouquet which include red sorts such as Plavac, Plavac mali, Hektor, Opolo Nobile and white sorts like Zlatan plavac, Posip, Bili potok , etc…. Along with these wines it would be wise to taste a traditional dish – “gregada” special type of stew that is combination of several fish sorts and potatoes. Hvar regatta – Hvar is well known as a host of several famous and traditional events. One of them is International New Year's regatta, so it brigns to Hvar people from all over the Europe making winter time in Hvar full of life.